A dramatic increase in aging Americans and an ever more demanding younger population who are unwilling to live with debilitating knee pain are combining to drive up the demand for knee replacement surgery. 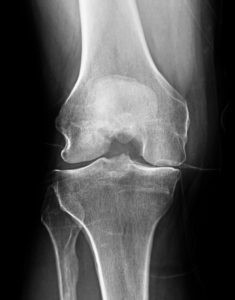 It is estimated that over 700,000 total knee replacements are done across the US each year and half of those are done for patients under 65 years old. Doctors Zehr and Biggs also perform total knee replacement surgery at Seaside Surgery Center. Although these talented surgeons use state of the art, minimally invasive surgical procedures, the real advancement in knee replacement surgery comes with the management of the post-operative pain. 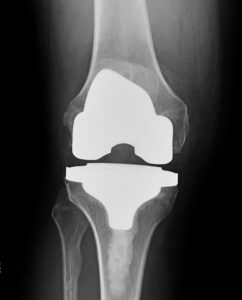 It has been shown that patients are most worried about pain control after surgery, especially knee replacement surgery. Our anesthesiologists are expert in providing local and regional pain blocks that will last even after the patient has left the Center and often for several days after surgery. In addition, the multimodal pain management protocol that is begun even before a patient arrives at the Center employs innovative pharmacological principles to provide the most comprehensive pain control after surgery that is currently available in the field. Our fit, healthy younger patients who choose to have knee replacement surgery performed as an outpatient will typically find that the postoperative pain is tolerable and they are able to ambulate well enough immediately after surgery to allow them to go home immediately after surgery and to function at home with relative independence. Most patients will be able to begin outpatient physical therapy sessions within a week following surgery.